What does it take to become a spymaster? What are the qualifications? For the German Intelligence Service (Abwehr) in 1940, the answer would have been, "Not much". We've already heard a bit about Major Nikolaus Adolf Fritz Ritter. He was hired by the German Abwehr in 1937 to run spy rings in the United States and England. His major qualification? He could speak American English. Ritter had spent over a decade in the United States, dabbling in various ventures and employment opportunities. He was a businessman with no actual spy training. In 1939 and 1940, the German Abwehr began to expand their operations. Ritter was stationed at the Abwehr offices in Hamburg where he was involved in gathering information about the air forces and air operations of the United States and England. He needed some help. Did he hire someone with espionage experience? Nope. He hired a businessman. 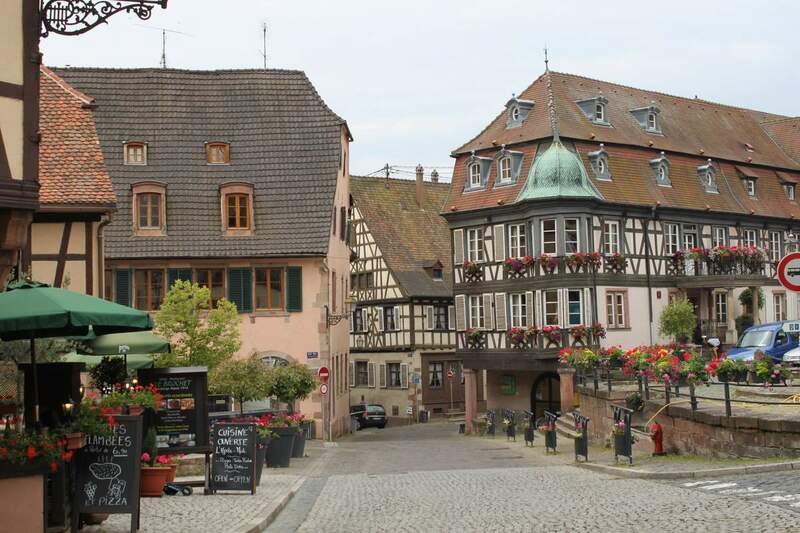 Young Julius was born on 8 December, 1894 in Mittelbergheim, Alsace, a tiny village in the middle of acres of vineyards. 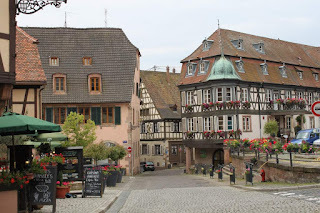 At that time, Alsace was part of Germany and Julius had a typical German upbringing. From 1903 to 1910, Julius attended the Realschule in the neighbouring town of Barr. At the age of 17, Julius left home to study at the Handelsschule Dr. Hertel in Strasbourg. He was obviously an enterprising young man for it didn't take long before he had found a job with the import/export firm Ungemach. Julius worked for the firm for three years, from 1911 to 1914, learning the ropes of import and export. In 1914, his career was rudely interrupted by the declaration of war. As a patriotic young German, Julius joined up, serving in the Heavy Artillery of the Imperial German Army. He was commissioned as an officer in 1916 and eventually earned the Iron Cross, First Class and Second Class. Towards the end of the war, Julius joined the 20 Feldflieger Abteilung and served as an observer, providing situation reports after the each. Young Julius fell in love with flying, soaring high above the muddy trenches, above the cares of the world. After the war, Julius returned to Ungemach, soon to be renamed établissements Ungemach, Société alsacienne d'alimentation (UGMA) as France was granted the territories of Alsace and Lorraine in 1919. Julius was no longer a German, he was a citizen of France. He must have picked up the French language quickly, for he traveled on business to Le Havre, as well as to Cologne. Life under French rule must have been difficult and in 1922, Julius moved to Hamburg and started a job with a general export firm, Simon, Israel & Co. He stayed with the firm for a few years but then took up a position with stocking manufacturer/exporter Rollmann & Rose in Chemnitz, most likely another Jewish firm. It was at Rollmann & Rose that Julius discovered his passion, stockings. After less than a year in Chemnitz, Julius established his own business as a stocking exporter. He purchased some factories in Chemnitz but kept his head offices in Hamburg. This may have been due to the fact that during the intervening years, he had married Ragna Rowedder. Marriage tends to tie a man down, at least as regards a home base. His business took Julius to many different parts of the world: South & Central America, France, Belgium, Holland, Switzerland, Italy, Sweden, Norway and England. In 1929, Julius decided to become a German citizen, mostly because his home and livelihood were in Germany. Julius must have been fairly well-off for in 1932, he took private flying lessons and was finally able to soar the skies once again. In 1934, Julius took a business trip to Brazil. Rather than languishing for weeks in a First Class cabin on various steamships, Julius naturally took to the air and sailed amongst the clouds on the Graf Zeppelin. While most businessmen might pack samples of their wares, Julius apparently brought down his own little aircraft. According to a newspaper article at the time, he planned to fly from Rio to Buenos Aires and then over the Andes to Chile. In 1937, two years before the declaration of war, Julius attended a training camp for Reserve Officers of the German Air Forces and was appointed Oberleutnant (First Lieutenant). Less than a year later, German annexed the Sudetenland are of Czechslovakia. War was only a matter of time. In the summer of 1939, Julius' name was passed on to Major Ritter who did a bit of background research. He rather liked the sound of the tall, dark businessman with two Iron Crosses. The Abwehr was always looking for men who traveled abroad, particularly businessmen who could keep their eyes open and report their findings once back in Germany. Ritter contacted Julius and asked the businessman to let him know the next time he traveled abroad. Julius, however, made no trips and didn't follow up with Ritter. On 29 August, 1939, Julius was mobilized and posted to Luftwaffe Flight School C in Wesendorf, a few hundred kilometres south of Hamburg. This worked well for Julius, for even though war was about to be declared, he needed to take care of his stocking business. A few months later, Julius was promoted to Captain and in early 1940, he joined the 17th Flieger Ausbildung Kommando (Pilot Training) in Vienna, Austria. In April 1940, Julius obtained leave and planned to travel to Norway for business. Ritter somehow got word of the upcoming trip and contacted Julius. Unfortunately, time was tight and Julius didn't have enough time to get briefed prior to his trip. 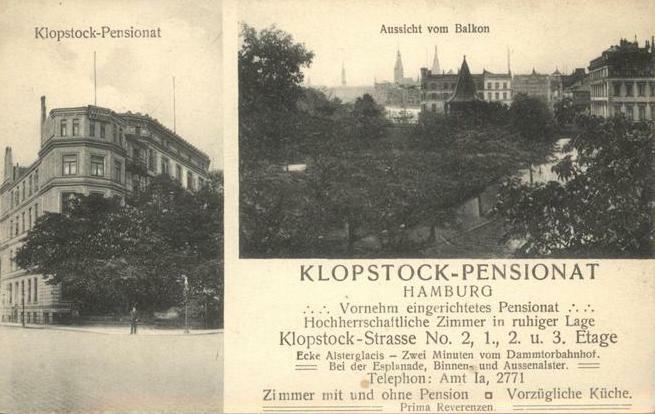 Despite the slightly cold shoulder from Julius, Ritter decided to invite the businessman to join the Abwehr offices in Hamburg. Given his travel history, his knowledge of French and his background in the German Air Force, Julius seemed a natural fit for the Air Espionage section. Julius eagerly accepted the invitation as it meant he would be stationed in Hamburg, could live at home with his wife and children and take care of his business. On 15 June, 1940, Julius reported for duty at the Abwehr offices in Hamburg. If Julius was expecting to get a crash course in espionage craft, he was sadly mistaken. There was no training course. He started off by studying files and reviewing English and US aviation journals. He quickly realized that his weak English put him at a disadvantage but Ritter brushed it off. Time was of the essence. Admiral Canaris, head of the Abwehr, had ordered the Hamburg office to prepare for Operation SEALION, the invasion of England. Agents needed to be found, trained and sent over to England, as quickly as possible. Time, not language, was what was most important. By mid July, Julius was assigned to instruct agents destined for England. Perhaps Ritter thought that since Julius had traveled to England on business, he was an expert on the place. Julius learned enough spy craft o know that he shouldn't share his real name with the agents. Thus he ended up being called Dr. Bruhns, Dr. Beyer or Dr. Ernesto Werner. Meeting in a variety of hotels (Phoenix Hotel, Klopstock Pension), Julius taught the agents outdoor map-reading, secret writing (using aspirin), weather reporting and technical aeronautical matters. Other Abwehr officers trained the agents in radio transmitting and morse code. It was a rather haphazard arrangement. In total, Julius trained about 20 agents who were sent to England via parachute and small boats. Most went to their deaths. The few that survived and lived to transmit reports back to Germany were prized as star agents. Unfortunately most of them turned out to be double-agents, transmitting under the control of Britain's MI5. Julius trained Josef Jakobs and Karel Richter in the fall of 1940. The spymaster took ill in January 1941 and spent the next two months in hospital in Bad Reichenhall, in Bavaria. While he was away, Josef was dispatched to England. Julius was able to see Richter off. But in the end, neither agent would make contact with Germany. Word trickled back that both men had been executed, Josef by firing squad and Richter by hanging. Perhaps Julius felt a few momentary pangs of guilt. Perhaps not. After all... it was war. Operation SEALION was eventually cancelled and the Hamburg Abwehr office was reduced to a skeleton crew. On 15 November, 1941, Julius was transferred to the offices in Berlin where his focus shifted to Spain and the Balkans. Given that the parachute and boat spies sent to England had been such a huge failure, perhaps they could sneak some spies into England via Spain. That too proved to be a failure. In 1944, Julius was transferred back to Hamburg as head of the Abwehr office in charge of air espionage. His new job was to ensure that a network of stay-behind spies were set up in Norway and Denmark. The Germans knew that the Allies were coming and they wanted to be prepared. As luck would have it, some of Boeckel's own agents (double-agents) helped to convince the Germans that the Allies would invade via Calais. The Allied landings in Normandy were seen as diversionary and the Germans kept their eyes on Calais, hesitating just long enough for the Allies to gain a solid foothold on the Continent. The end was in sight. On 24 July, 1945, at 2:30 p.m., Julius Jacob Boeckel, former officer of the German Abwehr was arrested at his home in Hamburg by British Forces. There were some MI5 officers who dearly wanted to talk to Julius and extract his knowledge of the Abwehr. For almost 2 years, Julius was held in various internment camps undergoing interrogation by the British authorities. The overall sense of the MI5 officers was that Julius was "a middle-aged business man whose experience of Abwehr work is limited to the war years only. He appears to be a man of integrity and has been cooperative under interrogation, without attempting to curry favour." High praise from the jaded intelligence officers. Herewith I urgently beg to apply to you for the release of my husband Julius Boeckel who since July 1945 is detained in arrest. During the war my husband as officer in the reserve and versed in foreign languages had been enlisted to an Army-detachment of national defense, thus accomplishing his duty as a German soldier. To the N.S.D.A.P. [Nazi Party] he had never any relation; neither had he been a member of the Party nor a candidate for membership in the organization, nor may be charged of any crime of war that might justify his imprisonment for so long a time. To bear witness that he was always in opposition to the Nazi-regime I beg to refer to the attached letters. Up to July 1946, that is a whole year, I had no news from my husband, and all the while I passed continuous trouble about his state of health which in consequence of an old stomach-complaint was always very delicate. Since the beginning of his internment I knew that his health got considerably worse, and it is to fear that the effect of imprisonment for long will be very disastrous to him. So far as I am concerned it is a fact that I cannot any longer withstand the grief and sorrow about my absent husband and find a way through all that scramble after the war. To solve the problems of business matters and existence, to care for upbringing and education of three children, to do the task of daily life and household; all this in this awful post-war time, is to much for a woman, and my strength is nearly exhausted. I am no longer capable to fulfill all these demands of life so necessary for the existence of our family. I, therefore, cannot but urgently implore for the early release of my husband both in rescue of him, my children and myself. In support of her husband, Ragna had several people (neighbours, banker, doctor, pastor) write letters in support of Julius. "He had never been a Nazi. He was actually quite critical of the Nazis and their policies. He supported Jews. Julius was a sincere, frank and honest man." On 19 May, 1947, her hard work paid off when Julius was released from the Civilian Internment Camp and placed in Category II by the British Review Board. There were restrictions on his activities. He couldn't vote or run for office. He couldn't teach, practice law, join the police, practice journalism or run an organization with more than 20 employees (except for his own business). He could not leave the British Zone, nor Germany, without the zone commander's permission. Julius apparently adapted well to these restrictions. He returned to Hamburg, picked up the tattered remains of his business and his family life. A few years later, in 1951, he asked for and was granted permission to travel. In 1955, he took a trip to Havana, Cuba, perhaps for a holiday (without his wife), perhaps to sell stockings. What became of Julius? He likely died of old age, surrounded by his children and grandchildren. Despite having sent scores of men to their deaths, Julius would manage to keep everything: his life, his business, his house, his family. National Archives, Kew, London. Secret Service files on Julius Jacob Boeckel.